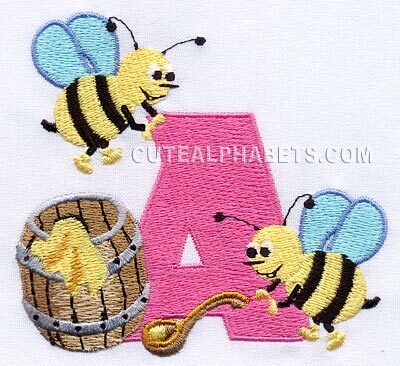 I have just downloaded the honey font and it is amazing I just love all your design cute embroidery thank you. Hello, i signed up for 6 months by cuteembroidery. When i want some designs from cutealphabets can i signed up for 6 months to? And if so ... where can i do that? Please can you tell me what do i have to do so that i can get some designs from cutealphabet! They are so beautiful. What a stunning font this is going to be!!!!!! What size is this fonts?